Transform your lashes with our ultimate mascara to create drama, volume and curl with an extreme carbon black finish for a full-bodied lash fringe. The curvaceous helix brush for full lash contact, lifts, curls and volumises for clump-free, thicker, longer lashes with long-lasting curl and hold. Enriched with a conditioning keratin and shea butter botanical blend for long-term lash care and superior staying-power that’s easy to remove when you want to. Created in Japan and inspired by traditional calligraphy our latest liner makes cat eyes effortless even for liquid liner novices. 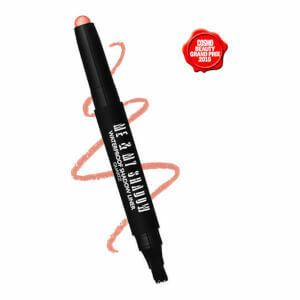 Smooth, fluid single stroke colour glides on and stays on for an all-day finish without fading. Our advanced formula features WIDELASH™ a tripeptide based blend focused on enhancing lash growth for up to 3x length and volume in 15 days. Aqua/Water/Eau, Acrylates Copolymer, Cera Alba/Beeswax/Cire d'abeille, Ozokerite, Cera Carnauba/Copernicia Cerifera (Carnauba) Wax/Cire de Carnauba, Polyglyceryl-3 Methylglucose Distearate, Stearic Acid, 1,2-Hexanediol, Butyrospermum Parkii (Shea Butter), Hydroxyethylcellulose, Magnesium Aluminum Silicate, Triethanolamine, PEG-14M, Isobutylene/Sodium Maleate Copolymer, Cera Microcristallina/Microcrystalline Wax/Cire Microcristalline, Phenyl Trimethicone, Phenoxyethanol, Propylene Glycol, Silica, Simethicone, Butylene Glycol, Polysorbate 60, Chlorphenesin, Dimethicone, Disodium EDTA, Hydrolyzed Keratin, Oleth-10, Pentaerythrityl Tetra-Di-T-Butyl Hydroxyhydrocinnamate, CI 77499 (Iron Oxide), CI 77266 (Black 2). Aqua (Water), Butylene Glycol, Acrylates Copolymer, Alcohol, Steareth-20, Glycerin, Bentonite, Biotinoyl Tripeptide-1, Cellulose Gum, Citric Acid, Glyceryl Stearate, Panthenol, PEG-40 Hydrogenated Castor Oil, Phenoxyethanol, Polyglyceryl-10 Oleate, PVP, Simethicone, Sodium Citrate, Sodium Dehydroacetate, Sorbitan Stearate. MAY CONTAIN: CI 77266 (Black 2). I love the accuracy of this eyeliner- it’s the best I’ve ever used. I’ve been using it for two years now and I don’t know what I’d do without it. The mascara is bold without clumps and a little goes a long way and I don’t need to curl my eyelashes when using it. It lasts all day/night, and the design of the packaging means you get to use every bit of it- and it lasts a long time. Definitely the best mascara/eyeliner combination I’ve encountered. Cannot recommend it enough. I love this set. It's probably my favorite of any product line. I've never used a better eye liner or mascara and I've tried so many high end brands. I love the brush tip on the liner. It goes on perfectly every time. I've just about finished my black magic liner and I'm amazed at how perfectly it continues to flow from the brush. It lasts all day and never fades. The mascara is just as good. Perfect application every time and last forever. It is also so easy to wash off. The fact that the liner has lash serum in it is gravy. This stuff deserves 10 stars. Really love this mascara! It doesn't clump and fans my lashes out nicely. 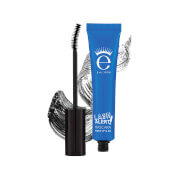 It adds volume and lift which I really need as my lashes are quite short! You can't even tell that you're wearing it! 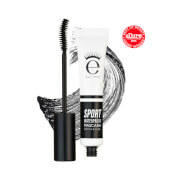 An all in one mascara! Love it! The black magic mascara is my favourite Eyeko mascara, and I've seen growth in my lashes whilst using the black magic liquid eyeliner. I would definitely recommend to people looking for something that will make a difference - it definitely works! This duo is really good because you can get the black magic mascara and eyeliner for a cheaper price, rather than buying them separately. I like the idea that I can buy duo sets from here because I only ever wear eyeliner and mascara, so i can try out all the duos Eyeko offers! It's good value for money and saves times choosing products seperately.